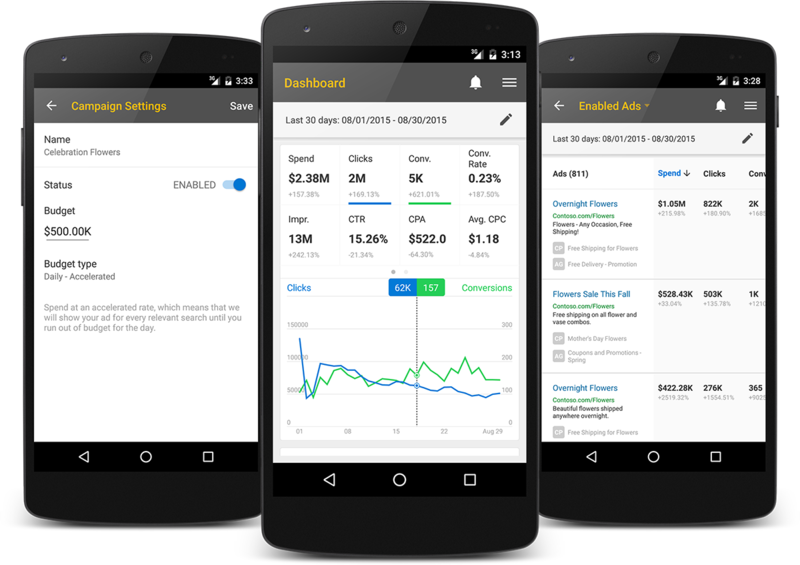 Today, we’re thrilled to announce the availability of Bing Ads for Android. 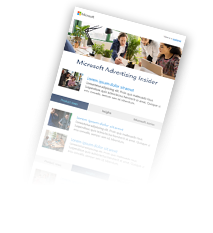 Bing Ads for Android joins our iOS app as a great way to manage your campaigns while you’re on the go. We know you're busy and sometimes, you just need to be able to quickly monitor and check up on how your campaigns are performing. Here’s what one of the early users of our Android app had to say about their experience. “It does what you need a mobile PPC experience to do. Stats at account, campaign, ad group, keyword, and ad levels. Straight forward controls to adjust budgets, bids or to pause certain elements of your accounts. The app is simple, clean, and useful. Bing Ads for Android is currently available in English via the Google Play Store for devices running Android 4.0 or later. To our international advertisers, we’re already working on getting that in your hands within the next few weeks. We love our advertisers and are your biggest fans. We love hearing what you have to say and enjoy working closely with you. We're always looking for feedback on how we can improve our apps to help you do more and work less. We encourage you to write us a review in the Play Store or send the team an email with your thoughts: bingads-feedback@microsoft.com.